They were very good to her and to us, says Alex Storm. I don’t know what we would have done without palliative care being here. 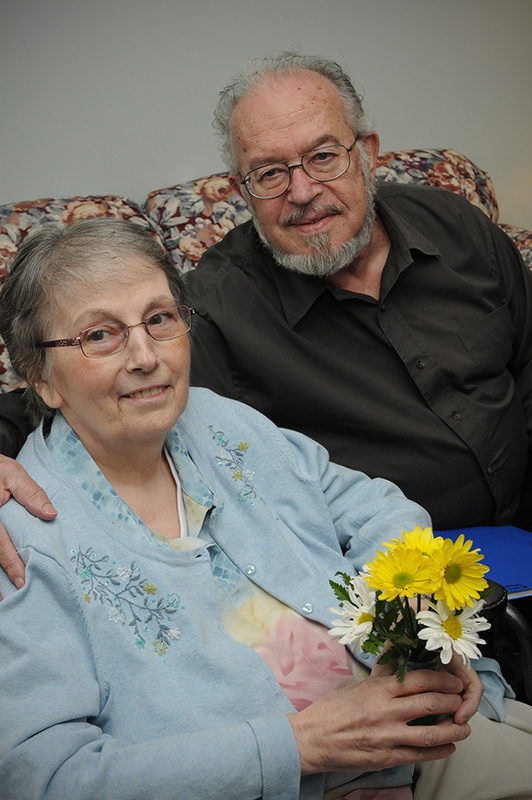 Emily Storm, his wife of 46 years, lived with a slow moving ovarian cancer. Yet, he says, the palliative care team ensured she was able to maintain a high quality of life. He says Emily had her own binder with her favorite songs. She eventually made a CD with Jill on which she dedicated a song to each of her five children and one to Alex. Alex recalls three or four days before his wife died. She wasn’t able to speak anymore, but he explains how she made hand signals to Jill from her bed. “‘You’re my angel,’” is what she was communicating to Jill,” Alex says. The music therapy was just as important as the medications, Alex says, his face reflective. A lot of people don’t know about the palliative care services, not until you’re in a position where it happens to you and you realize that it’s needed, then it becomes real. Alex says palliative care is important because people don’t have to experience dying all alone. “It prevents people from suffering the ultimate misery of not being looked after,” he says. “It provides a gentle passage.